Bishop Eduardo C. Villanueva, known as “Bro. 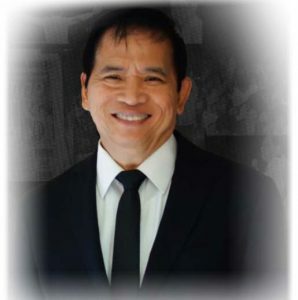 Eddie,” is the founder and spiritual director of the Jesus Is Lord Church Worldwide. 1. The Jesus Is Lord Church is born from the very heart of GOD. 2. No one is indispensable in the Ministry except JESUS CHRIST. 3. No one is being forced to serve in the Ministry. 4. All JIL pastors and leaders must be seekers and living testimonies of GOD’S Visions and Biblical Principles. 5. All JIL pastors and leaders must be visionary people of GOD. 6. Every JIL pastor and leader must make it his/her mission to constantly be GOD’s faithful servant. 7. No one should seek money, fame or power in the Ministry. 8. All JIL pastors and leaders must have integrity in money and all possessions. 9. Every JIL pastor and leader must stand firm against all forms of temptation. 10. Any form of discrimination without God’s justification is injustice and must therefore be rejected. 11. The quality of our life in eternity depends on the quality of our obedience and faithfulness in serving GOD here on earth.